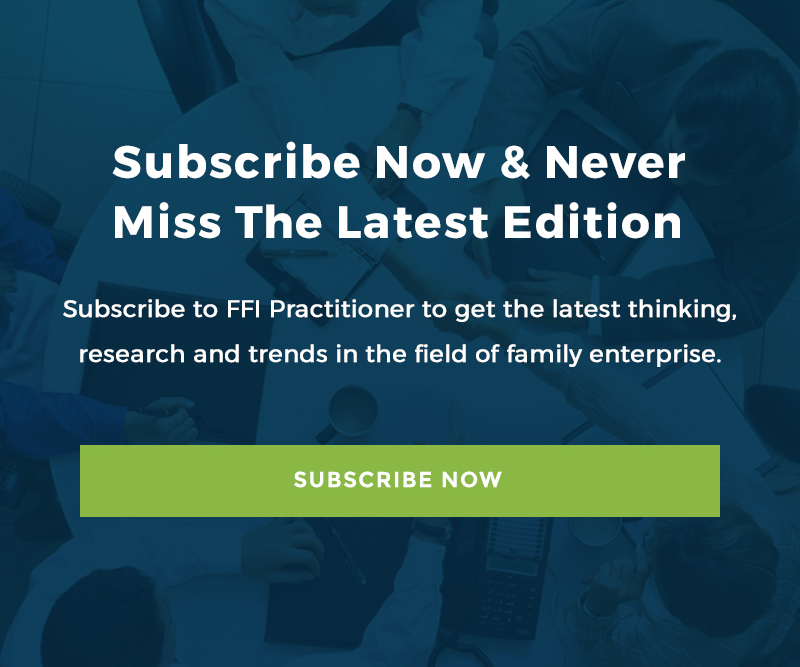 In this issue of The Practitioner, Lloyd Steier of the University of Alberta puts the data on family enterprise longevity in a new perspective. Important reading for everyone in the field! In the world of family business advising one of the more famous refrains is: “Shirtsleeves to shirtsleeves in three generations!” Although this intimation of impending danger has a place, it is often misused in forums throughout the world, wrongly conveying a negative image of family firms in the very places where we should instead be celebrating familial advantage. In this blog I would like to further dispel the myth of family firms as organizations largely embarked on trajectories leading to failure and suggest that, instead, we should celebrate family advantage more often than we currently do. First, it is important to recognize that three generations reflects an admirable longevity by most standards. A generation is typically viewed as spanning 20-25 years. A firm that spans three generations has survived 50 plus years! Although family firms do fail, we sometimes mistakenly confuse exit with failure. For example it is not unusual for a family firm to be sold. Although the family may encounter challenges associated with the sale many of its members go on to become successful in other businesses, the professions, academia, and philanthropic endeavours. In other words, although the family firm ceases to exist, the family clearly thrives creating new opportunities from existing platforms. This dynamic is further illustrated by a recent speaker in one of my MBA classes who offered an account of his family’s 30 year business odyssey. Initially the firm grew to be a major supplier of office products within our region. From this platform they saw additional ways of serving existing clients and created two additional businesses: a printing division and a filing company that provided specialty services to clients such as medical offices and law firms. Although they grew to be a major player in a region that served over a million people, the eventual introduction of big box retailers, as well as consolidation within the industry, signaled that they would either have to grow substantially bigger or sell. Pragmatism dictated that a sale was their best option — no amount of family cohesiveness would have “saved” the day. As the “window of opportunity” closed in one industry, they were able to identify a new window: cellular phones. Early adopters of this new technology were the businesses that they already knew fairly well from their previous business. They became a major supplier of early generation cell phones in the region they had already served with office products. As an early mover they were also able to negotiate attractive deals and good margins with cell phone suppliers and Telco carriers. Eventually the Telco’s saw wireless as integral to their future and began to buy out the smaller independent carriers. There was another pragmatic sale. Another new “window of opportunity” beckoned, this time in a new industry. The housing and hospitality industry were embracing a new design concept: granite countertops. Again, they were positioned as an early mover in what later proved to be a fast growing, large industry. And yet again, the industry changed and was characterized by new entrants and increased competition for customers and labour. The themes and generic strategies in the above case are not unique. They are simply illustrations of the “creative destruction” and re-positioning that are essential ingredients of capitalist economies — a notion popularized by Joseph Schumpeter. Schema that presume a business can survive indefinitely do not adequately account for the dynamism of today’s business world. Few businesses can remain static. Despite having a relatively short lifespan all of these businesses in the illustrative case were successful. None of the exits were viewed as failures. Sadly, some databases—as well as many pundits in family business—treat exits such as the ones described above as failures. Family firms represent remarkable repositories of roles, recipes, and relationships that can be used for both existing and new businesses. Familiness, although not without its challenges, confers many advantages in business. The “rise and fall” of family firms are simply a manifestation of the “creative destruction” evident in most capitalist economies. In many instances family firms should be encouraged to re-create—not perpetuate—themselves. For all of us it is important to reflect on whether we convey a primary philosophy that family firms are embarked on dangerous trajectories that mostly end in failure or whether we represent them as a unique and effective way of organizing enterprise that offers many advantages. Lloyd Steier, vice chair of the FFI board, holds the Distinguished Chair in Entrepreneurship and is director of the Family Centre for Entrepreneurship and Family Enterprise at the University of Alberta Business School. He is an FFI Fellow and can be reached at [email protected]. Stay tuned next week for another issue of The Practitioner.